I learned to ride the bicycle during the summer vacation of my fourth standard. Since we didn’t have a cycle at home, my dad rented a cycle and I learned cycling on that. By the time the vacation was over, I had learned the art of cycling, but had no cycle to ride as the rented cycle was returned. I had to switch schools in the fifth standard as boys were allowed only up to fourth standard in the school I was studying. The new school was about 5Kms from my home. Since there were no buses (neither public transport nor school buses), and 5Km walk was too strenuous, I joined the school hostel. But I didn’t like staying in the hostel so at the end of the year, I asked my dad to buy me a bicycle to go to school. He asked me to try walking for the first term and during the first term of the sixth standard I used to walk about 10Kms a day. After the Onam exams, my dad bought me a brand-new Raleigh bicycle. For the next 5 years (until I completed my tenth standard) I used to go to school on my bicycle. When I was in the seventh standard my brother also joined me. During his first year (5th standard), I used go to school with my brother as the pillion rider. The next year, he also got his bicycle and we used to cycle together to school and back. After the 10th standard, for pre-degree (we didn’t have the 10+2 system in our schools in those days), I had to go to a college which was around 8Kms from my home. So my dad promised to buy me a bike (a Yezdi Roadking to be precise). 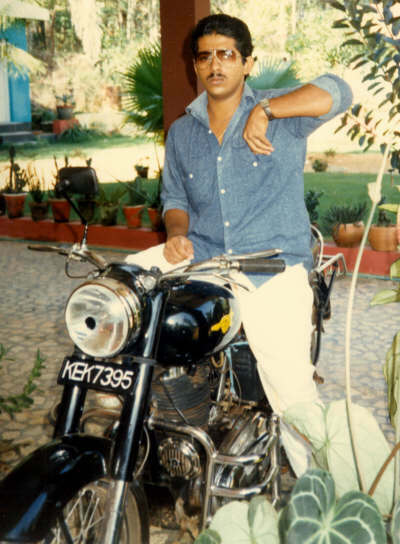 I started my riding lessons at a two-wheeler driving school near my home which had a Yezdi, a dilapidated wreak that was being held together by some supernatural forces. I started my riding lessons on that ‘magnificent’ machine and soon it became clear to me that for every kilometer of riding the machine needs about 30 minutes of repairing, tweaking and cajoling by my guru (its owner). So I learned the art of motorcycle maintenance by the time I learned how to ride the bike. My teacher’s smug comment during my passing out ceremony was that “since you learned riding on my bike, you wouldn’t face any problem with any other bikes”, which was true as it was hard to imagine coming across another bike with so much history attached to it. I was all set to go to Kottayam and buy the bike my dad had promised before the vacation was over. But a family friend (I prefer the word enemy!) told my dad that giving a bike to me so early in life will spoil me as I would roam around on the bike with my friends instead of studying. This put my dad in a dilemma. On one hand, he had promised me a bike and I had learned riding. On the other hand, he couldn’t completely ignore his friend’s advice. So he told me that instead of the bike, he will buy me a scooter. “Scooterrrrrrrrrrrrrr, No way” I cried. But he wasn’t moved. So I threatened him saying that since he had gone back on his word, I would go to the college on my bicycle. Unfortunately my bluff didn’t work and to my utter dismay he was overjoyed to hear that. When I think back, I realize how stupid I was. I should have taken the scooter deal. It was much better than cycling 16Kms everyday for the next 2 years. I got my bike when I was in the 4th semester—a Yamaha RX100. It was the time, these new 100cc foreign bikes—Yamaha RX100 and Ind Suzuki—were being introduced in India. The Yamaha RX100 was the favorite among us as it had killer looks, awesome acceleration and excellent performance. One had to book and wait for a few months to get the bike. Finally, we got a call form the Yamaha dealer in Kottayam informing us that the bike was ready. My dad and I went to take possession of the bike. Before doing the final washing and polishing, the mechanic asked me to take the bike for a test drive. I took it for a ride, my first ride on a Yamaha RX100, drove it for a few kilometers and returned the bike. Then while we settled the bill and got the papers of the bike, the mechanics washed, polished and delivered the gleaming bike to the front of the showroom. Then there were the usual ceremonies like garlanding the vehicle and putting lemon under the tyres. If you do not crush the lemons while riding out, it is considered as a bad omen. So I started the bike and carefully drove over the lemons, ensuring that both were completely crushed. But I think I crushed my luck a little too hard, as I met with my first accident within the next 30 seconds. The Yamaha showroom was next to the Paico bookstall, in the KK Road (opposite to Kottayam Collectorate). I had to take the bike for inspection by the regional transport officer (RTO) before registering the vehicle. The inspection was done at the Police Parade Ground which was behind the Collectorate. There is a traffic junction near the collectorate in the KK road. I had to cross the road and then go to the Railway station road. The road from the railway station met the KK road at right angles forming a T. The traffic signal and the constable’s podium were at the center of the ‘T’ junction. I was at the front of the queue of vehicles that wanted either to crossover to the Railway station road or go straight through the KK road. Mine was the only bike in the queue and I had stopped the bike very close to traffic signal with my indicator flashing. Since there were no vehicles coming from the opposite direction, the traffic constable allowed me to turn right and told me to make it fast. I released the clutch and accelerated. Instead of moving ahead, the bike stopped. I was not used to the bike and my clutch-accelerator coordination was not good. The constable must have spotted a vehicle coming from the other direction as he shouted from above to quickly get the bike out of the middle. I started the bike and revved it up so it won’t stop and released the clutch. The bike took off. It was something that I had never experienced in a Yezdi or a Rajdoot. The acceleration and power was completely new to me and I panicked. The front tyre of the bike started to lift (that was something I had seen only in movies). I didn’t know what to do and what I did was completely wrong. To the bewilderment of my dad (who thought that I had gone crazy) and to the astonishment of the constable and other spectators (who thought that I was some professional stuntman) and to my absolute horror the bike did a wheelie. Since it was my first experience, I panicked and accelerated and the front tyre rose higher which caused more panic, more acceleration and better performance by the bike. Finally the bike reached almost 80 degrees (near vertical) and when everybody (except my dad and I) was marveling at the spectacular performance, I came crashing down and fell off the bike. The constable jumped from his perch and came running down. Then my dad came and got out of the car. Luckily I was unharmed except for a few minor scratches and the bike too was unscathed except for a bent footrest and few dents. I got on the bike and tried to start it, but it won’t start as the kick-start lever was jammed between the body and the footrest that was bent. So I put the bike in neutral and pushed it back to the showroom. There the mechanic was very pleased to see me. He told me that I was the seventh person, who did a wheelie and came back with the bike, but I was the luckiest as other riders and bikes came back in much worse condition. His comment was that since I had the first accident early, I can drive the bike without worrying about scratches and minor dents as the ‘honeymoon’ was already over. I wanted to strangle him. He repaired the bent footrest and started the bike. I got back on the bike and proceeded again to the Police Parade Ground. This time the traffic constable stopped all the other vehicles and asked me to cross the road and advised me to take as much time as I wanted. I made it to the inspection scene, got the vehicle inspected and started home. My dad was following me in the car and whenever there was a traffic signal, he would overtake me and stay ahead of me to prevent me from performing another stunt. By the time I reached home, I was quite comfortable and was used to the excellent acceleration. After that I didn’t have any problems with the bike. When I was in my 7th semester, I sold the Yamaha and bought a Royal Enfield 350—Bullet. The reason to switch the vehicles was safety. A few of my friends had accidents on the Yamaha RX100 and my dad thought it was time for me to get a mature bike. I didn’t have any objection as RX100s were commonplace in the college whereas Bullet was a rarity. In fact, we had only two Bullets in our college at that time—one belonged to the HoD of the Computer Science Department and the other to my very close friend Reji. Also that was the time when Enfield was airing the “Let the boys have their toys…” advertisement. I sold the toy to a ‘boy’ to buy the Bullet. A few weeks later, I found the person who bought my RX100 in the Medical College with multiple fractures on his legs and arms!!! He fell into a ditch while overtaking a KSRTC bus. The bike was in a much worse condition than the rider. I went with my dad to Marikar Motors, Kottayam to buy the Bullet. The manager was my dad’s friend. Even though, I had become a veteran with more than 20,000Kms under my belt, my dad was in no mood for experimentation. So he asked his friend to sent somebody to get the bike out of the heavy town traffic. That person drove the bike till Nagampadam, handed it over to me and went back. I reached home without any problems. Initially it was very difficult for me to handle the bike as it had a mind of its own and was going where it wanted rather than where I wanted it to go. Since RX100 was a light vehicle (around 85Kgs) you use the handle to swerve, veer or weave the bike. I tried that on the Bullet (which was about 180Kgs) and nothing happened. When I wanted to avoid a pothole on the road, however much I tried, the bike will not change its direction and would head straight to the pothole and will come out of it as if nothing happened. After a few kilometers and with much experimentation, I stumbled on the right technique. The only thing you have to do is to use your bodyweight—just lean to the direction you want the bike to go and it will comply obediently. It was easier than riding the RX100 and much more comfortable. In the next 4 years (the rest of my B.Tech. and all through my M.Tech.) I used the bullet and became an excellent rider. I had driven it through very rough terrain, during rains, through roads about a meter wide and along the highways and through crowded city traffic. I had been chased by KSRTC buses, had chased imported bikes and did almost all kind of stunts on that bike. My bullet never let me down and it was the only bike that I had any sentimental attachment. Once I finished my M.Tech, I gave the bike to my brother who used it for another 10 years. We sold it only in 2001 when he bought a Kawasaki Eliminator. my passion neday is a 2 wheeler and not a car ! i still remember my first impression on seeing a RX100 … !!!! Deepa: Thank you Deepa. So which is your favorite two wheeler? bicycles .. wow that is my ultimate two wheler .. still love to ride one to office 😉 and i learnt when i was in fourth standard too. Another very absorbing read. I second the person who said that you should write your autobiography. What a wonderful journey from cycle to motorcycles! And what rich experiences you gathered on the way. I think you owe a lot of that to your Dad. Many Dad’s are too over protective thus depriving their kids especially boys of street savviness. Really great account!! it was great to read about your driving skills. I wanna learn how to ride a motor cycle..
Nina: Welcome to my blog. Yes, bicycles are fun to ride, especially the one with gears. But I would prefer a bike any day 🙂 Been to the Thermometer plant of Pond’s in Kodaikanal (I think it was closed down a few years back) but not done any cycling there. silverine: As I had mentioned earlier, you are reading excerpts of my autobiography. Yes the journey from cycle to motorcycle was wonderful. You are right; I owe a lot to my dad. He didn’t prevent us from having the joys of childhood and growing up by being over protective. He taught us a lot of things like car maintenance, plumbing (both domestic and agricultural), electrical work, etc. and allowed us to do a lot of things like working along side our farm hands in the plantation, on the paddy fields and so on. My brother and I are excellent rubber tappers, expert tiller and tractor drivers, wood cutters, etc. because he allowed us to do all those things along with the workers. Dhanush: Thank you Dhanush. I had that sunglass for a few years. Gave it my brother along with the bullet. ‘Angry young man look’ :-); it is more like a tired young man look. I just came back from the hospital after spending the whole night with my grandfather when my brother took that photograph. Mind Curry: It is a different kind of thrill when riding the bike. It is a nice feeling to have the wind caresses your face and body. Also you feel less constrained in a bike as there are not roofs and doors to confine you. But with today’s pollution, heat, and dust, it is better to drive a car or SUV. No, I was not checking the time and the watch was working ;-). I was putting the bike’s keys in my pocket. I had just put the bike on stand and was getting off, when my brother took the picture. thanu: I thought you were riding a motorcycle—your Yamaha. That is wonderful machine you have and it should be fun riding it. Alexis: I know that junction where you did the wheelie.. the CSI church on one side, a saw mill on the other side and ration shop by the side.. Aiyyaa.. I missed the action..
You look stunning in that bike..! I wanted to have yamaha and bullet but only had a falcon scooter those days…! Sarah: Yes it is the same junction. And you definitely missed the action 🙂 The thumping sound of the bullet is one aspect that keeps it apart from the other bikes. James: Thank you James. I have never driven a scooter, somehow I couldn’t get used to shifting the gears while engaging the clutch using one hand. The only time I tried, I fell down. Interesting post, you sure had a lot of different bikes. your Dad was cool, I had a Suvega and loved it. LALITHA: Suvega—the first moped in South India. I have no driven that. The only moped that I have driven is a TVS 50. Sreejith Kumar: That is the only photo of the Bullet. Yes my brother is an excellent photographer. He took that photo with a Kodak auto focus camera. Now he has a very professional set of cameras, lenses and other accessories. your smile stirring humour has been very evident through out this post as well. Another wonderful post. Waiting to read ur autobiography. I know its going to be super-duper. Well, I don’t even know how to ride a bicycle, so can’t comment on bikes, but the account of ur bikes is really interesting. Great pic too! Young and dashing! wow, what a dashing picture!! that junction is very close to my moms house..
its part of my childhood..!! Nothing like a two wheeler to lift your spirits! Great narrative! Good sense of humour. I laughed reading about your experience of taking the yamaha out of the showroom! Of course it was partly scary too. my cycle “guru” was just 2 years elder to me…and as we ddint had a bicycle in our house, we had to rent a bicycle so that my “guru” can teach me….the problem with my guru was he was very font of doing some circus tricks with bicycles, so most of the time he was interesed in showing his abilites. but after a week i was able to ride the cycle. :)..
Great post! I love your way of writing and describing things – really fantastic! Cool picture … !!! May I invite you to visit my blog and tour with me Munich, my hometown? You’re most welcome!! 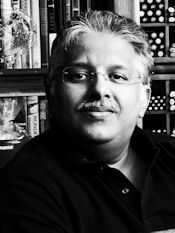 Paresh: No planes… I don’t have enough experiences to write about. Deepa: All the best for your bike riding lessons. chackochan: My only experience with a lamby is pushing it up a slope, then getting on it and driving it down. That was when I was in the fifth or sixth standard. It was my dad’s lamby. I could do this only for a few days, as he sold it. I still remember the price—Rs. 1850. He must have used it for about 10 years. Karin: Thank you very much and welcome to my blog Karin. I had driven it through very rough terrain, during rains, through roads about a meter wide and along the highways and through crowded city traffic. I had been chased by KSRTC buses, had chased imported bikes and did almost all kind of stunts on that bike. Geo: Geo I know that you are a daredevil driver. I read about your bike stunts. That starting point of the one-way at plamood junction was one of our favorite spots. Then there was a dip in the road somewhere between LH and Chavadymukku. We used to race above 100 so that we could jump over the dip. I don’t know whether it was there when you were there.